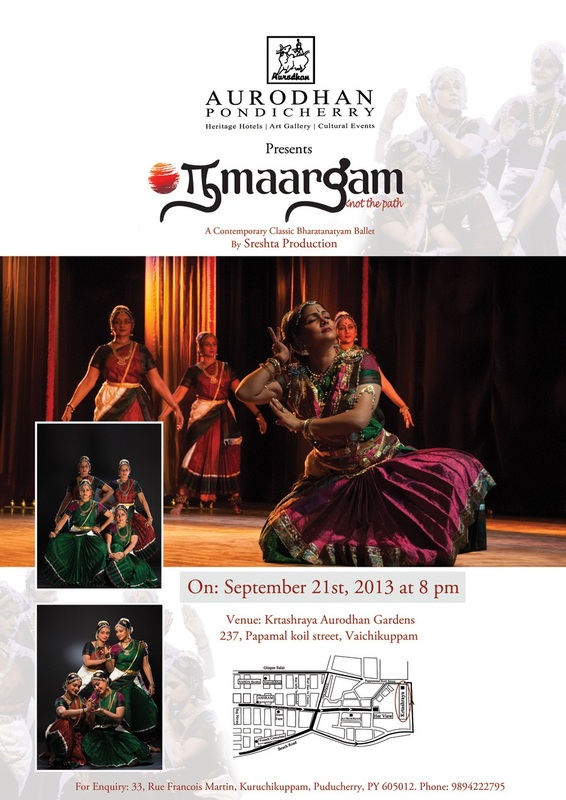 NaMaargam is a Contemporary Classic – a concert that draws viewers of all age groups and appeals to them irrespective of nationality, religion, profession or inclination. The concept ensures that the Classical art form Bharatanatyam is moved into the perspective of highest operatic performances world wide. The production was premiered with 4 dancers in the Annual dance season December 2012 at The Music Academy Auditorium in Chennai and drew a viewership of over 4500 persons in 2 shows at Chennai and one in the Festival of Dance Mamallapuram the first season. It is a contemporary classic. A highly pluralistic dynamic representation of the quest of people for joy and peace. The dynamic orchestration of over 29 artists is unique and the cast emotes by exploring the arts -music, dance, poetry and theatre. The production was popular and well received by media, art lovers, students and working professionals who don't usually attend such events out of " fear of classical arts ". The web media and web cast was viewed favourably by over 8000 viewers. The newer version of Namaargam has 7 performers - 3 men and 4 women.The production has been reworked for this with high energy choreography and aesthetic values renewed with further inputs. Our performing cast of 7 includes entrepreneurs, engineers, graduate students etc.